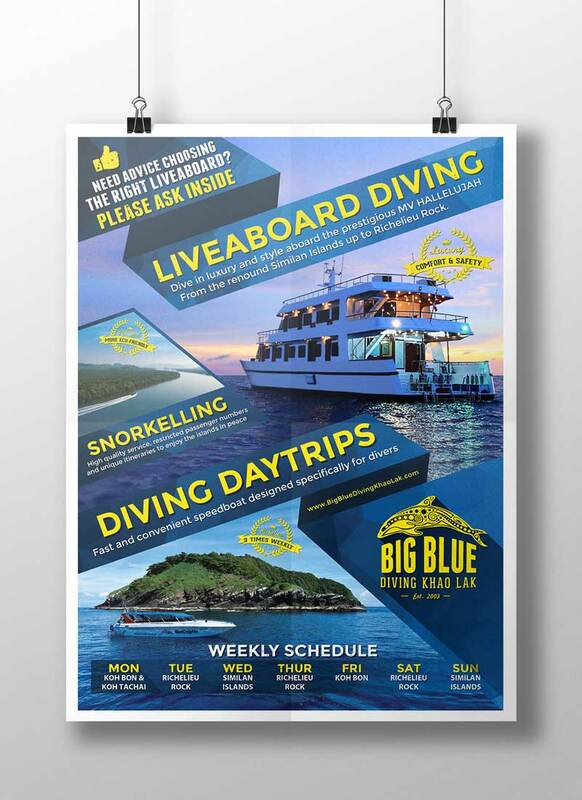 New sign design for Big Blue Diving Khao Lak completed in December 2016. 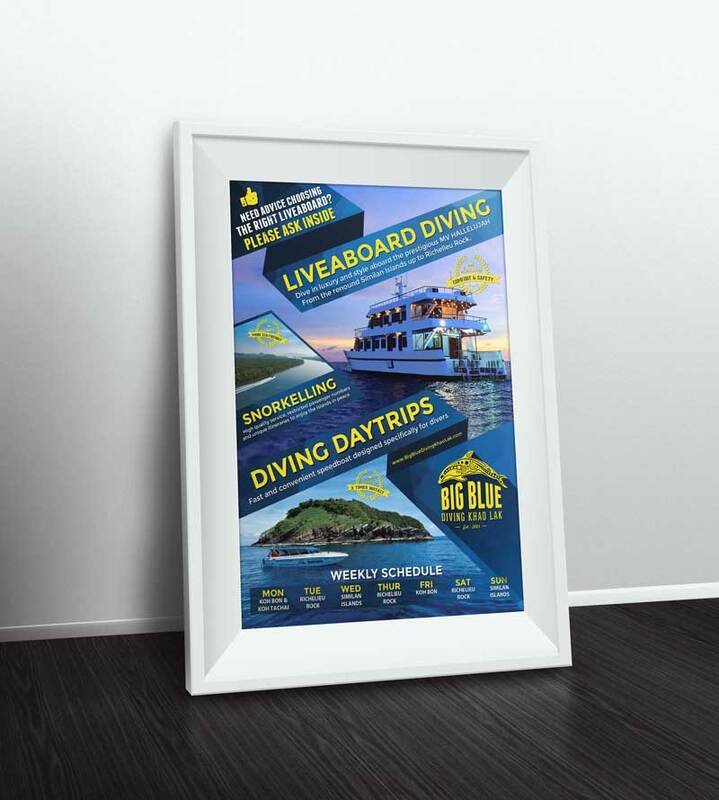 This is the first finished product as part of a complete new re-branding for Big Blue. The artwork is for a large format A board sign.